With a high back and deep seat, all day comfort is one sit away. 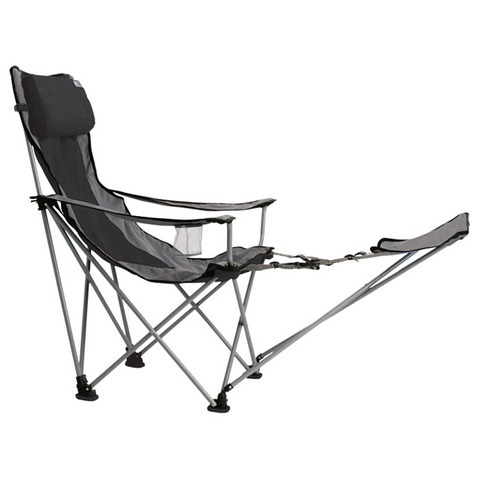 A sling seat design with powder coated steel and nail head/rip-stop polyester. Includes an adjustable contour pillow, adjustable/removable footrest, and reinforced rip-stop fabric at stress points.